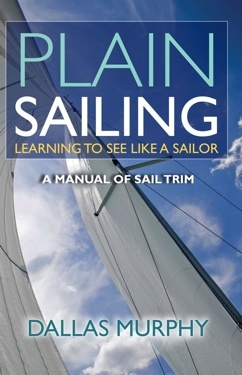 Plain Sailing will help the new sailor understand the principles and practice of sail trim—the adjustment of sails such that they interact most efficiently with the wind. There is a direct relationship between sailing efficiency and sailing fun. Knowing when, how, and why to trim your sails is the essence of sailing. If you understand trim, you understand sailing. Plain Sailing also covers how to look at sails, how to distinguish good trim from bad, how to diagnose a blown-out sail, and much more. Dallas Murphy is the author of Rounding the Horn and other books.